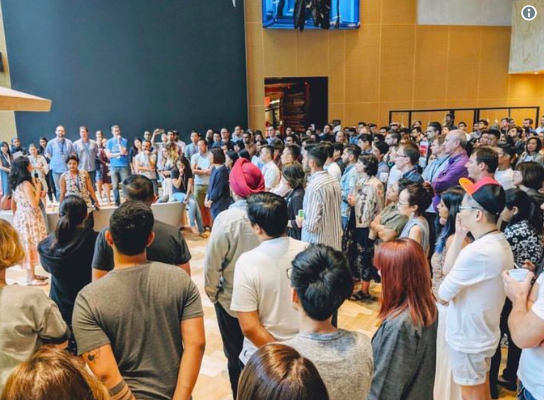 In a protest against Google’s treatment of sexual harassment, at least 20,000 employees of the tech giant walked out on November 1 all over the globe—starting with Google’s Singapore office. 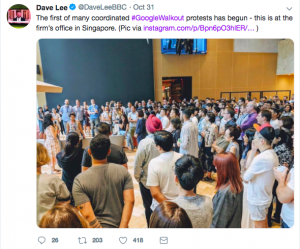 Google staff from Berlin, New York, Tokyo, Zurich and London, and other cities participated in the demonstration, entitled “Walkout for Real Change, November 1, 11:10 am.” The official Twitter page for the event reads that the walkout was held “to protest sexual harassment, misconduct, lack of transparency, and a workplace that doesn’t work for everyone. 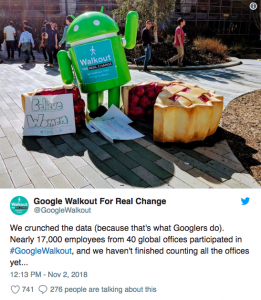 The idea behind the “Walkout for Real Change” began after The New York Times ran a story on October 25 about how Google covered up allegations of sexual misconduct against Andy Rubin, who created Android’s operating systems. When an investigation in 2014 proved the victim’s story to be credible, Google asked for Rubin’s resignation. 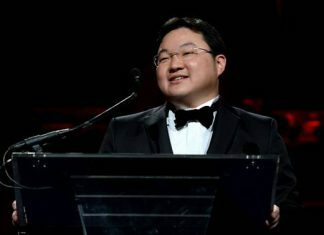 He was publicly praised by the company, as well as given a resignation package worth $90 million. The same article showed that Google behaved similarly toward two other executives, and did not bring to light any accusations of sexual misconduct. Rubin has denied the allegations, claiming them to be part of a “smear campaign” that his former wife waged against him after the marriage fell apart. 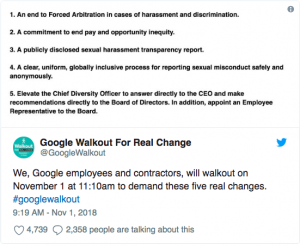 An end to Forced Arbitration in cases of harassment and discrimination (this would enable victims to file lawsuits against Google). A commitment to end pay and opportunity equity. A clear, uniform, globally inclusive process for reporting sexual misconduct policy safely and anonymously. Elevate the Chief Diversity Officer to answer directly to the CEO and make recommendations directly to the Board of Director. In addition, appoint an Employee Representative to the Board. Sundar Pichai, the company’s CEO, has said in response that 48 people have been fired without payouts since 2016 due to sexual harassment. However, he has also voiced his support for the walkout and has pledged to change company policy concerning the matter.